One in 100 babies are born with congenital heart disease. And it can be deadly. Critical congenital heart disease (CCHD) that goes untreated causes half of the infant deaths in this country related to birth defects. The scary thing is that infants show no symptoms at birth. Fortunately, CCHD can be diagnosed, either in the womb or soon after birth. Post-birth screenings are done through a pulse oximetry test — an inexpensive, non-invasive pulse test that measures the amount of oxygen flow in a newborn. As the CDC points out, these screenings are vital. In 2015, Georgia added them to the battery of tests that it requires for newborns. And thanks to research in our state, they may become even better. A new study at the busiest birthing hospital in the nation — Northside in Atlanta — suggests that tweaking the screening algorithm might catch more non-CCHD medical problems, without compromising the test’s original intent. The American Academy of Pediatrics (AAP) recommends a three-tier critical congenital heart disease screening, which essentially gives the baby three chances to pass the test. The Atlanta study found that by reducing the number of repeat screenings from two to one, the test can catch just as many CCHD cases, and also some life-threatening non-cardiac conditions that are also indicated by low oxygen levels and need early intervention, such as pulmonary hypertension. 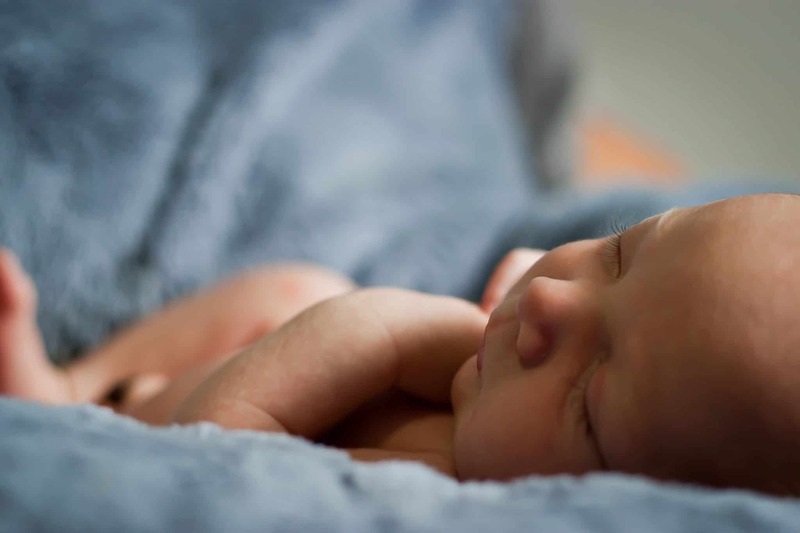 Being given the chance of passing two repeat tests gives babies more chances to pass out of the screening, even if they might need further evaluation, said study co-author Dr. Matt Oster, pediatric cardiologist at Children’s Healthcare of Atlanta. After the initial few years of CCHD screenings, Oster realized there might be room for improvement in the test algorithm. Reducing the number of repeat screenings “might be helpful and won’t be hurtful,” he said. The data suggest he was right. Using more than 77,000 CCHD screenings from Northside Hospital births over four years, the Children’s Healthcare research team ran the results through a simulation with only one repeat test — instead of the AAP-recommended two — to test the tweaked screening’s efficacy. The simulation caught the same number of CCHD cases, more non-cardiac cases and only increased the false-positive rate — incorrect test results that indicate disease — by less than 1 percent, or to one in every 2,000 live births. This slight increase — from one in every 2,500 births with the original algorithm — would result in two to three infants undergoing extra heart monitoring, which would not significantly burden a hospital system, according to Oster. The tweaked screening will catch more life-threatening disease, potentially increase hospital compliance and data interpretation, and reduce parental stress and worry, with less room for error, Oster says. This was the largest single-hospital CCHD screening study in the United States, but the nature of Northside Hospital’s robust prenatal program could affect study results. Across the study cohort, 80 percent of infants with CCHD were diagnosed prenatally and excluded from the data set, which is much higher than the state average of prenatal diagnoses. In hospitals with fewer prenatal resources, more of those infants would likely have been screened and diagnosed after birth, according to the study. Dr. Mark Hudak, professor and chairman of the Department of Pediatrics in the College of Medicine–Jacksonville at the University of Florida, says the Atlanta study is a step in the right direction. When a screening is modified to try to catch more cases of disease, the false-positive rate generally rises, said Hudak. But in this instance, that’s not necessarily a bad thing, he said. CCHD screenings have come a long way in just a few years. As recently as 2014, only about half the birthing hospitals in the state were doing them, according to Georgia’s Department of Public Health. The department made them a requirement shortly afterward, adding them to its newborn screening program and its disease surveillance system. By last summer, all birthing hospitals were reporting the results of screening, and 120,000 newborns were screened in 2017, according to the department. In their first year of widespread use, the screening caught 10 cases of CCHD. After a newborn’s test points to CCHD, the baby gets an echocardiogram to confirm the presence of the disease and detect any heart lesions. From there, the baby will usually go on to have surgery. The thing to remember, he says, is that whatever tests babies may have had, they need their regularly scheduled exams, and parents should always be attentive to any problems with a child’s eating, breathing or pulse. Erica Hensley is a freelance health journalist based in Athens.